As with the previous chapters of The Trinity War, the best moments of Justice League of America #7 are those brief character moments unconnected to the main plot. 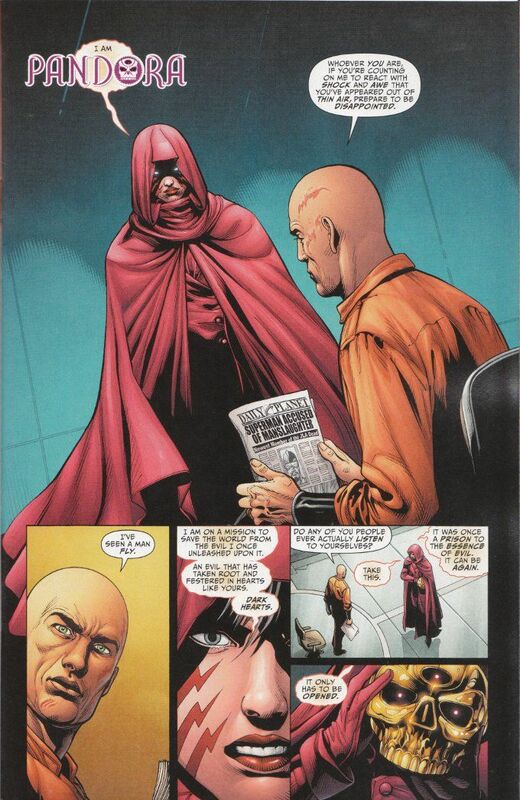 Nowhere is this better illustrated than in the opening scene where Pandora confronts an imprisoned Lex Luthor. Lex is his gloriously snide self and Pandora is... well, a living plot device with no purpose but to push the story forward. The action of the issue plays out well enough but the moments readers are most likely to find memorable are the quieter scenes where the characters are allowed to talk and play off one another. Yet Johns and Lemire do find ways to sneak character-development into the action. 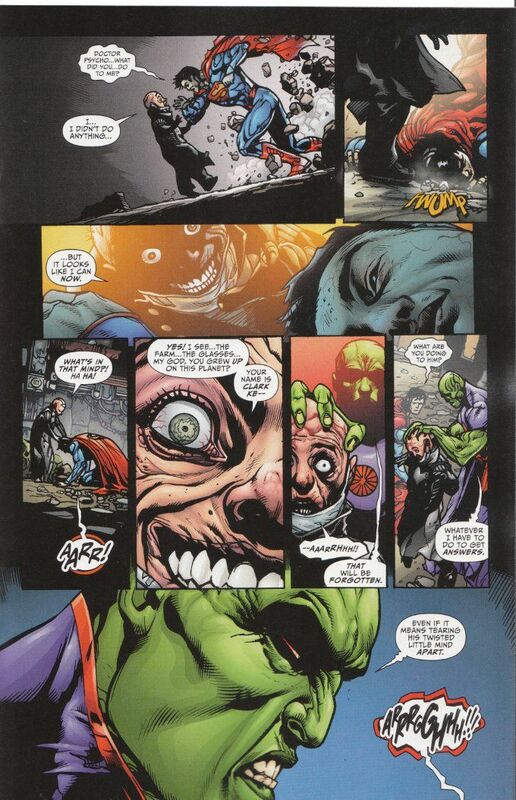 Consider the scene where Question's team of League members confronts Dr. Psycho and Martian Manhunter is given a chance to distinguish himself from Superman in terms outside of his super powers. The artwork of Doug Mahnke continues to amaze. His pencils are clear enough and offer a goodly portion of detail without becoming cluttered in the smaller panels. The book's inking continues to be it's biggest flaw, with a team of five inkers with differing styles rendering the final look of the book inconsistent despite there only being one penciler.